The day had been hot and scented with August dust. Her birthday. Not her favourite day. She was aware, every year, of signs of ageing. She didn’t try to hide them, but that didn’t mean she accepted them. In her soul she was a young girl filled with enthusiasm; physically and mentally she struggled to express her joie de vivre, disappointed and aware that hardly anyone remembered her other, youthful self. The one person who did remember, would never forget, was her husband. Quiet and unassuming, he picked out the silver thread of her personality like a path on a map. It was the girlish enthusiasm that appealed to him; he teased it out at every opportunity. Each summer, he planned surprises to enthuse and delight her. This year they spent the day on the Norfolk Broads, puttering along in a hired boat, exclaiming at water lilies and dragonflies, admiring private sailing boats and the odd Norfolk wherry. At the end of the day they returned the boat and drove to Coltishall for their evening meal, choosing a pub by the river, where they ate fish and chips and drank chilled white wine. It had been a quiet, comfortable day. They strolled together along the bank of the River Bure, sat on a bench and watched the moored-up boats bobbing and dipping on the water. The sun had already slipped into a fiery glow, trailing pink scallops of cloud, and now the sky was a smoky blue, gradually darkening to navy. On the opposite bank strutted a pair of Egyptian geese, their beaks and legs rosy red against the dusk. ‘They pair for life,’ he said. She nodded, following the geese with her eyes, admiring the creamy breast feathers and the distinctive rust at the tips of the wings, with just a flash of white. ‘Would you call that a strut or a march?’ she asked. She asked for a bottle of cold fizzy water, as she had agreed to drive the short distance home. Leaning forward to keep him in eyeshot, she watched him stride away from her, his rangy figure getting smaller and smaller until he disappeared into the pub. It was lit up now; a golden halo spread into the twilight. Glasses clinked and the buzz of chat and laughter mingled with faint strains of music. She swiped at a gnat that zipped around her head, disrupting the peace, and pulled her cardigan around her shoulders. She felt the tickle of sunburn as the cotton settled against her skin. Thankful for the coolness of the river breeze, she stretched out her legs and leaned back against the wooden struts. Gliding through the water was a canoe, paddled by a sexless silhouette. She heard a faint splashing and trickling as it vanished into the night shadows and diesel-tinged mustiness. In the periphery of her vision, she recognised her husband’s lopsided gait as he approached, a bottle in both hands. Her heart expanded and a smile curled on her lips. Without speaking, he sat down on the bench, shuffled up close and passed her an icy bottle. When she turned the cap, a hiss of air escaped, followed by a spray, droplets that cooled her sunburnt forearm. She followed the direction of his pointing finger. Gliding towards them, borne on serrated feathers, was a barn owl, ghostly pale. It skimmed the summer dusk, sacrificing speed for surreptitious slowness, a silent predator, and landed on a mooring post. A gentle gasp escaped from their lips, punctuating the quiet lucidity of the moment. It was the closest either of them had been to one of these beautiful creatures. Most nights they heard the syncopated hoot and screech of the owls that haunted their garden. In the winter, they sometimes glimpsed spectral wings against the shimmering, moonlit branches of the silver birch. 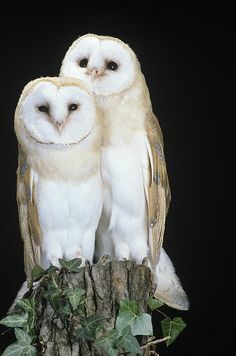 She was sure there were two owls in their garden. ‘Less of the old!’ He laughed and reached out for her. She swapped the slippery bottle to her left hand and they sat on the bench, fingers entwined, watching as the uncanny creature balanced on the post and preened itself, its razor-sharp beak grabbing each feather, nibbling and smoothing it down, shaking and stretching its wings from time to time. She was spell-bound by the way it stretched a leg and used its lethal talons to comb its head feathers. ‘I wonder if it has a mate,’ she said. A flash caught her eye and she stifled a joyful laugh as another spectral bird swooped towards the mooring post. There was just enough room for it to nestle against its partner. He traced his finger down her cheek and she felt her heart beat its wings. The birthday was forgotten. Her ageing features melted away and a young girl’s soul fluttered, soared and swooped like an owl. What a lovely story Kim, the day came to life through your well chosen words and observations. Thank you so much, Maureen, that’s means a lot.